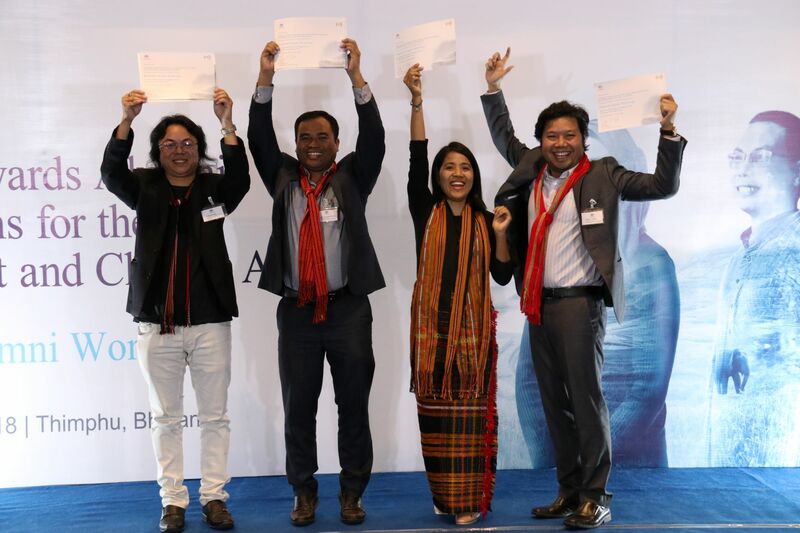 More than forty Australia Awards alumni from South and West Asia were in Thimphu, Bhutan in November 2018 as a part of an Australia Awards Regional Alumni Workshop, Australia Awards Alumni as Champions for the Environment and Climate Action. Successful alumni groups – the majority of which were issued with grants earlier in the year – represented 16 environment and climate action initiatives to benefit Afghanistan, Bangladesh, Bhutan, the Maldives, Nepal, Pakistan, and Sri Lanka. In his address to the alumni, Australian Deputy High Commissioner to India and Bhutan, Mr Rod Hilton, highlighted the importance of addressing climate change issues, particularly in the South and West Asia Region. Mr Hilton emphasised that climate change is truly a transboundary concern which requires action from different actors. He was impressed with the variety and level of innovation in the alumni projects and noted that this is reflective of the success of the Australia Awards program in developing “high-achieving leaders” in the region. The Workshop, held from 26 November – 29 November 2018, commenced with a project exhibit where alumni showcased their project outcomes. Alumni participated in masterclasses and were linked with specialists to gain a richer understanding of how to scale up their ideas. Delivering the keynote address, Dasho Karma Tshiteem, Chairman of the Royal Civil Service Commission of the Royal Government of Bhutan, said, “As an Australia Awards alumnus, I know from experience that through our Australian education and training we have the knowledge and skills to contribute to the development of our countries and the South and West Asia region more broadly. Environmental issues do not respect geographical and political boundaries, and I am pleased to see that all the countries in the region are represented in this Workshop because this can be a venue for networks and regional groups that can work together in addressing key issues related to environmental protection and climate change”. 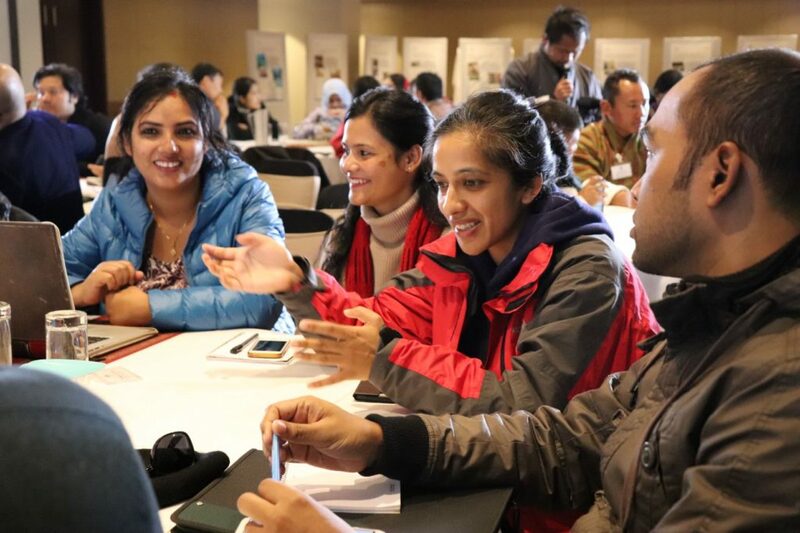 The participants were inspired by visits to innovative environmental protection activities in Thimphu including WWF Bhutan and the National Centre for Hydrology and Meteorology and learned about Bhutan’s Gross National Happiness as a framework for environmental sustainability. The Workshop also provided an excellent platform for networking. Making his remarks, Mr Gerald Daly, Resident Coordinator of the UN in Bhutan and UNDP Resident Representative, motivated the alumni and stressed the importance of addressing climate action immediately. “Climate Change is the greatest challenge of our time and the biggest threat to our future. Our future generations will look back on us all and ask us what we did. The time is now, to take responsibility and to act”. Australia Awards are prestigious international Scholarships, Fellowships and Short Courses funded by the Australian Government. They offer the next generation of global leaders an opportunity to undertake study, research and professional development in Australia. In the last five years alone, more than 1,000 Australia Awards Scholarships have been awarded to individuals in South and West Asia to study in Australia. In 2019, there will be close to 200 scholars from South and West Asia commencing their studies in Australia.